From February 9th, 2019 (Sat. ), the Tokyo Tower Co., Lmd. will commence with long term maintenance work on one of Tokyo Tower's illuminations, the Diamond Veil, which is mainly lit up on Saturdays and in conjunction with special days. however, the bright orange illuminations of the Landmark Light will light up as normal, every day from dusk till dawn. 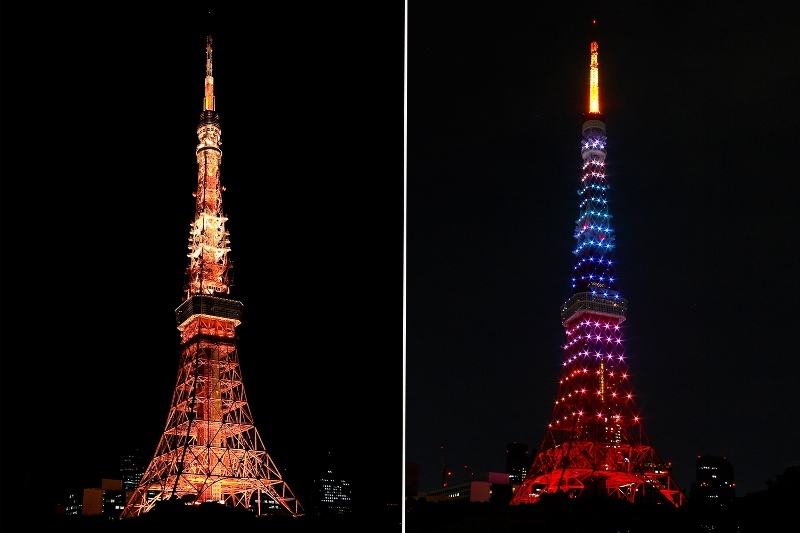 The Diamond Veil was first illuminated in 2008, marking the 50th anniversary of the opening of Tokyo Tower. It is primarily lit up in seasonally appropriate colors from 8 – 10 p.m. on Saturdays, whilst at times it is also illuminated in conjunction with various promotions. Although maintenance work has been carried out regularly from the start, as it has been 10 years since it was set up, it has been decided to take this opportunity to perform some long term maintenance work on it for the first time. Maintenance period: Begins Feb. 9th, 2019 (Sat). Scheduled to be completed by the end of the year. Details: One of the illuminations, the Diamond Veil, will be undergoing long term maintenance. Note: ■During the long term maintenance, the Diamond Veil illuminations will be suspended. ■The orange illuminations of the Landmark Light will continue to be lit up every day as normal. nearer the time there will be an announcement on the offiicial website.